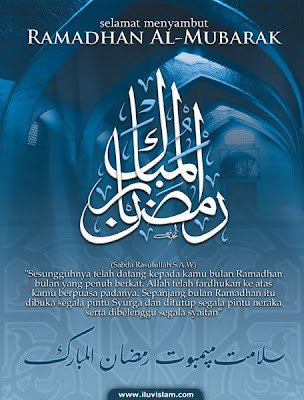 'Insyallah' tomorrow all Muslims around the world will be fasting. The month of Ramadhan is here. To all my family, relatives and friends no matter where you are, ' Selamat Berpuasa'.